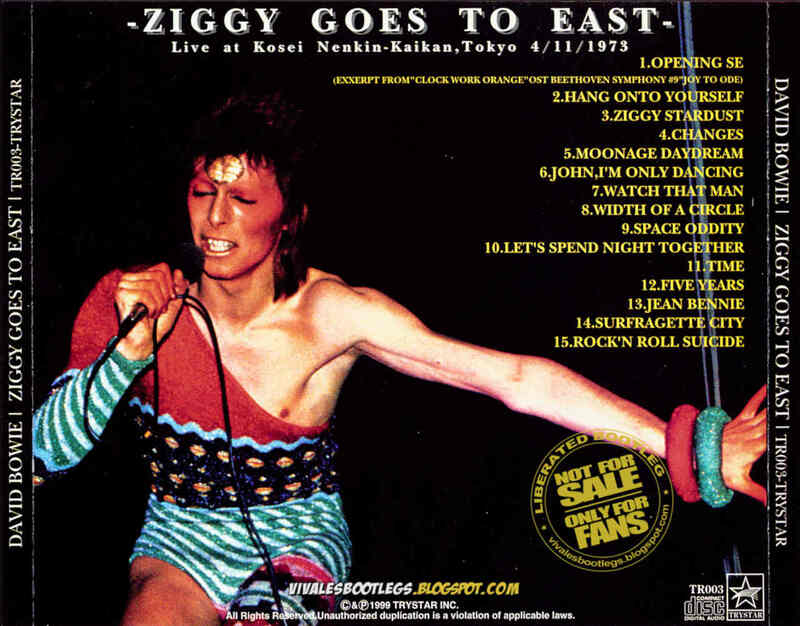 Recorded Live at Shinjuku Koseinenkin Kaikan, Tokyo, Japan - April 11, 1973. Files: 15. :: Size: 393 MB (flac). 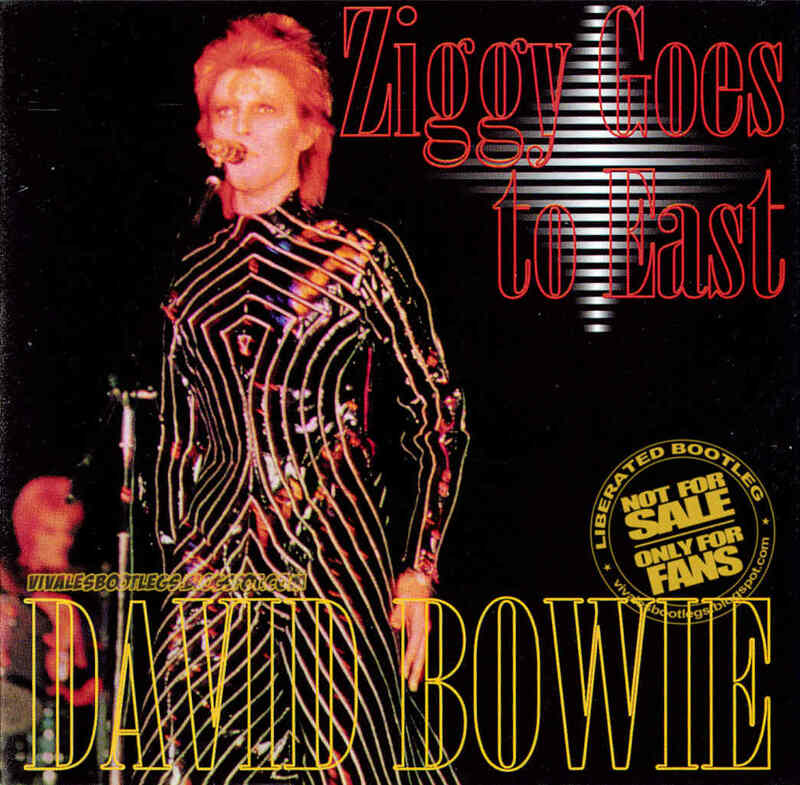 Personnel: David Bowie - vocals, guitar, harmonica :: Mick Ronson - guitar, vocals :: Trevor Bolder - bass :: Mick "Woody" Woodmansey - drums :: Mike Garson - piano, mellotron, organ :: John Hutchinson - rhythm guitar, 12-string acoustic guitar :: Aynsley Dunbar - additional drums :: Geoffrey A. MacCormack - backing vocals, percussion :: Ken Fordham - saxophone :: Brian Wilshaw - saxophone, flute. Notes: 1st generation rip from Silver discs -> EAC -> Flac :::: From Bassman's David Bowie page: Wow! 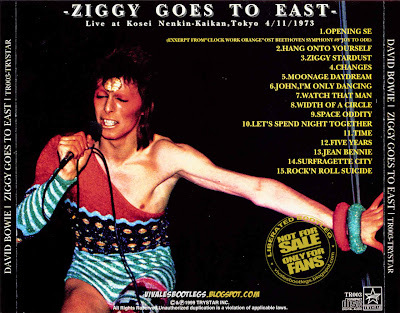 This is a previously unreleased Japanese concert, the third one of the rather short Aladdin Sane tour (in Japan). The sound quality is very good for being an audience tape from 1973, and it is probably complete?.<-(Info taken from original info file). Awesome concert with good sound (8/10). Thanks for this fine boot. Perhaps the best Alladin Sane tour recording. Love on. Don't miss this one.